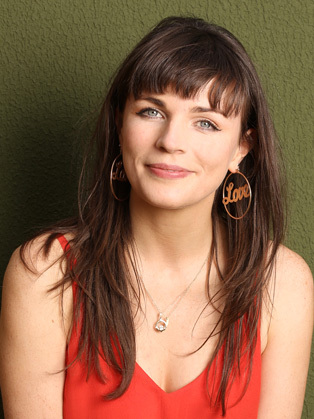 In 2013 Aisling Bea was nominated for the Fosters Comedy Award for Best Newcomer for her debut Edinburgh show C’est La Bea, which received a plethora of 4 and 5 star reviews in its sold out run. Her second Edinburgh hour, 2015’s Plan Bea, was also a major hit, selling out its entire run before the festival had even started. As well as her live work, Aisling has been fast establishing herself as a regular face on television. 2016 saw her return to More4’s 8 Out Of 10 Cats in her new role of team captain. She has performed stand-up on BBC 1’s Live At The Apollo, BBC 3’s Russell Howard’s Good News and Channel 4’s Comedy Gala. She has also appeared regularly on panel shows such as Channel 4’s 8 Out Of 10 Cats Does Countdown, BBC1’s Would I Lie To You and BBC2’s QI. In 2015 she was part of the team for Channel 4’s Alternative Election Night alongside David Mitchell and Jeremy Paxman, which aired live throughout the election results. Aisling is also an accomplished LAMDA trained actress with recurring lead roles in both dramas and comedies such as Sky 1’s sitcom Trollied, ITV1’s The Delivery Man (currently on Netflix), Channel 4’s sketch show Cardinal Burns and BBC3’s Dead Boss. In 2016 she starred alongside Gillian Anderson in Series 3 of award-winning BBC2 crime drama The Fall. In 2017 Aisling appeared in new Channel 4 sitcom Gap Year and stars in BBC One drama Hard Sun, aired in January 2018. A talented writer, Aisling is currently developing a Channel 4 commissioned scripted project with Sharon Horgan and Merman Films. She is also developing a show with Brona C Titley for Baby Cow Productions. She has had script and treatment commissions for films and TV shows with Grand Pictures, Big Talk and Citrus Productions. In 2013 she co-created and co-wrote the Chortle Award-nominated Radio 4 show Irish Micks and Legends, which returned for its second series in 2015.